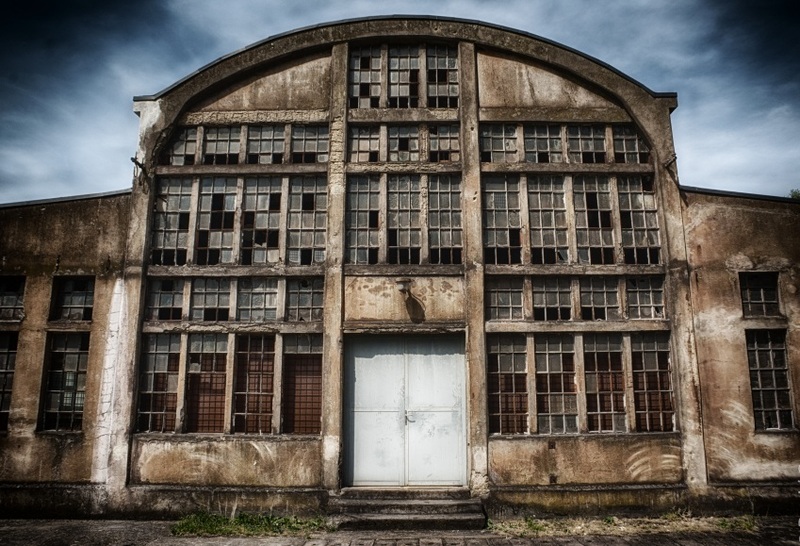 The Cracks in the Economy’s Foundation Become Bigger Last week the Bureau of Economic Analysis has updated its gross output data for US industries until the end of Q4 2015. Unfortunately these data are only available with a considerable lag, but they used to be published only once every few years in the past, so the current situation represents a significant improvement. 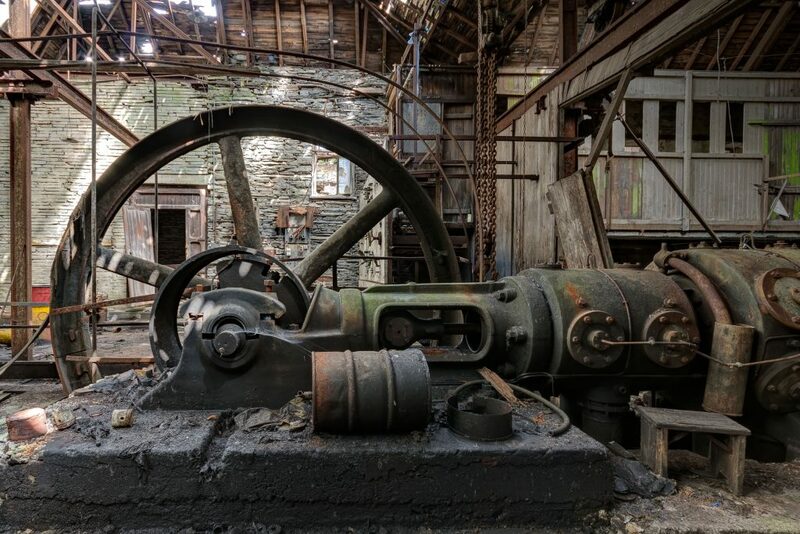 Decay… Photo credit: bargewanderlust As Ned Piplovic summarizes in his update on the situation on Dr. Mark Skousen’s site: “US economic activity continued to slow dramatically in the 4th quarter 2015, threatening recession. As a whole, the growth rate of the economy was anemic, almost flat, for 2015. Gross output (GO), the new measure of total U. S. economic activity published by the Bureau of Economic Analysis, showed that spending throughout the economy declined slightly in the 4th quarter of 2015. And the Skousen B2B Index — a measure of business spending throughout the supply chain — has now fallen two quarters in a row. Both data suggest a mild business recession as we entered 2016. Based on data released today by the BEA and adjusted to include all sales throughout the production process, nominal GO fell 0.6% in the 4th quarter of 2015, compared to an increase in the 3rd quarter (+2.3%). Adjusted GO was .0 trillion in the 4th quarter, more than double the size of GDP (. 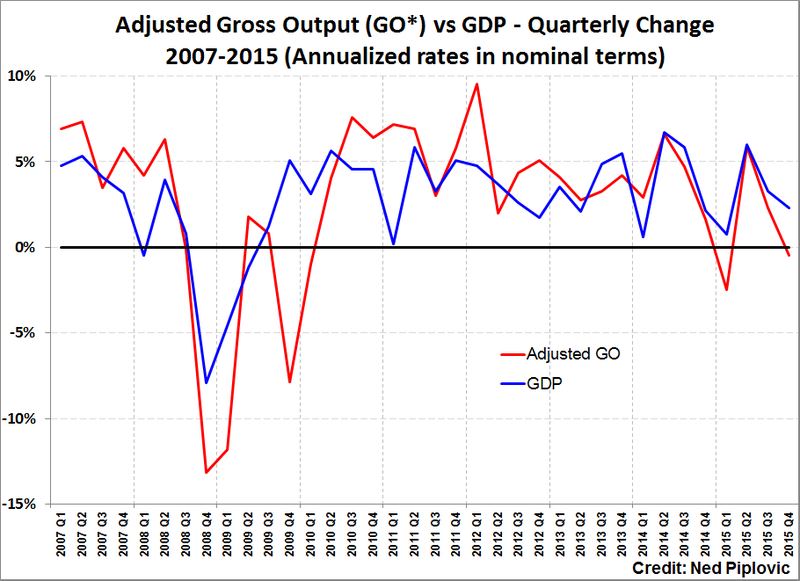 Adjusted nominal GO (red line) vs. GDP (black line), quarterly change rate annualized – click to enlarge. Annual change rates of: Gross output of all industries as well as manufacturing, mining, wholesale trade, private industries and the retail trade. 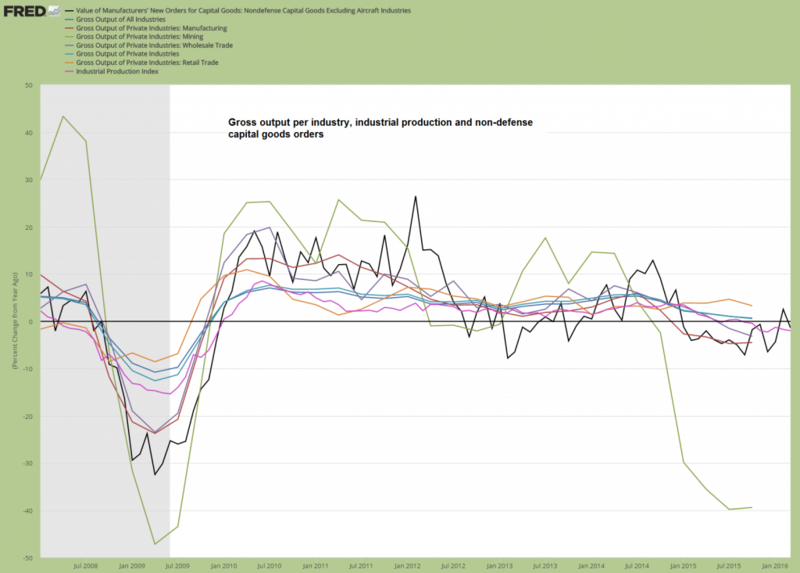 Also included: the y/y change rate of the industrial production index (purple line) and the value of non-defense capital goods orders (black line) – click to enlarge. 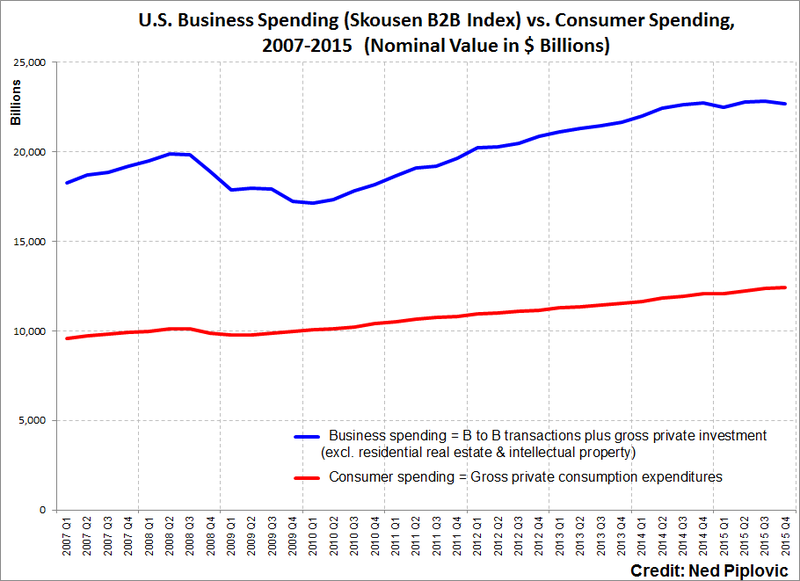 Via Dr. Skousen: B2B spending plus gross private investment (excl. IP and residential property) vs. consumption spending – the trends between the two are beginning to diverge – click to enlarge. 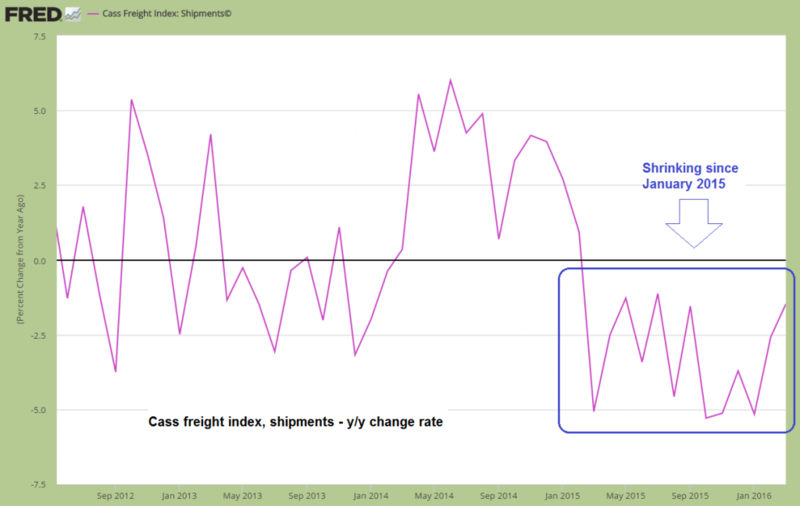 Cass freight index, shipments, y/y growth rate – negative since early 2015 – click to enlarge. 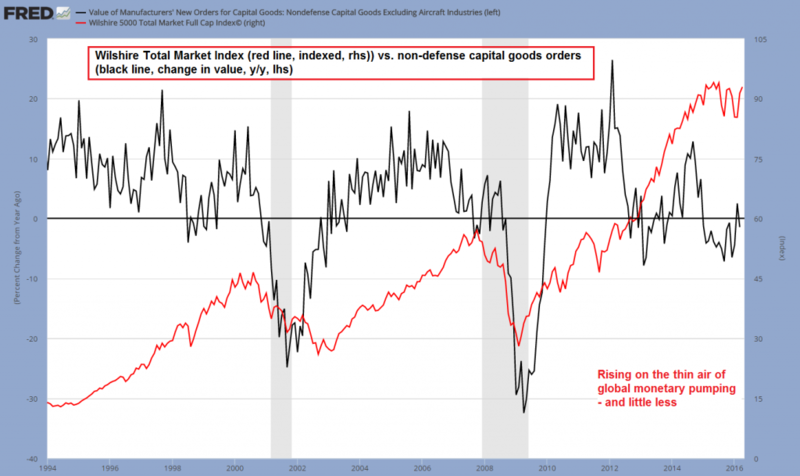 The Wilshire Total Market Index (red line) vs. the annual rate of change in the value of non-defense capital goods orders (black line). The disconnect continues – for now – click to enlarge. 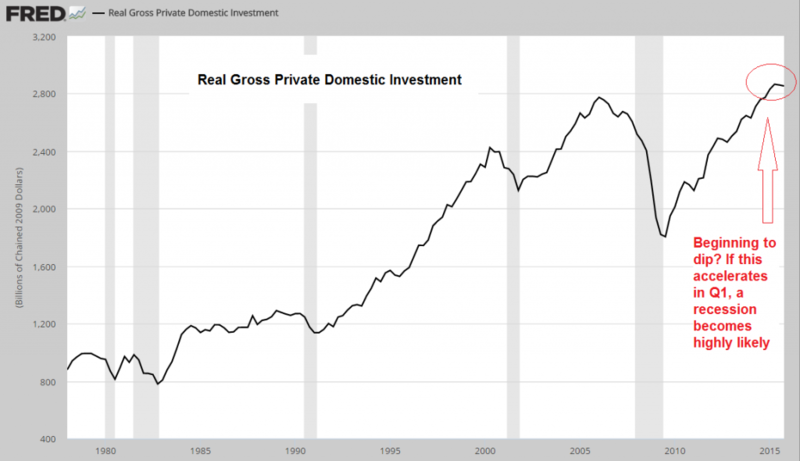 Real gross private domestic investment begins to dip – a steeper decline would be a strong recession warning – click to enlarge. 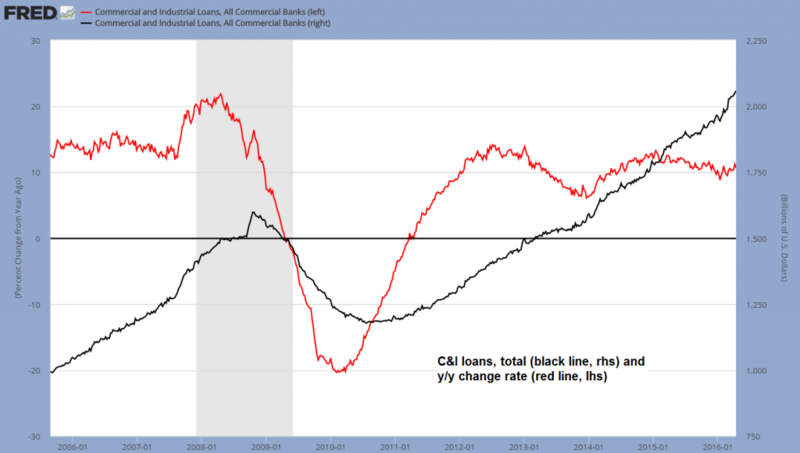 C&I loans total (black line) and the y/y growth rate (red line) – growth in commercial bank lending remains robust, but is a far cry from what has been seen in previous booms. It is also weakening relative to the earlier phase of the Bernanke echo boom – click to enlarge. As of Q4, y/y growth (quarterly) in combined charge-offs and delinquencies of C&I loans stood at 52%. 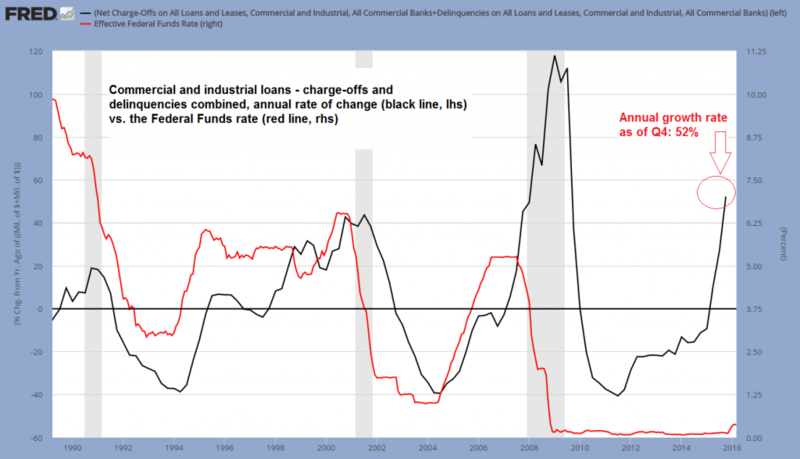 Normally this only happens when the Fed actually tightens policy, not when it keeps rates close to zero (of course, the end of “QE” represents a significant tightening as well) – click to enlarge. 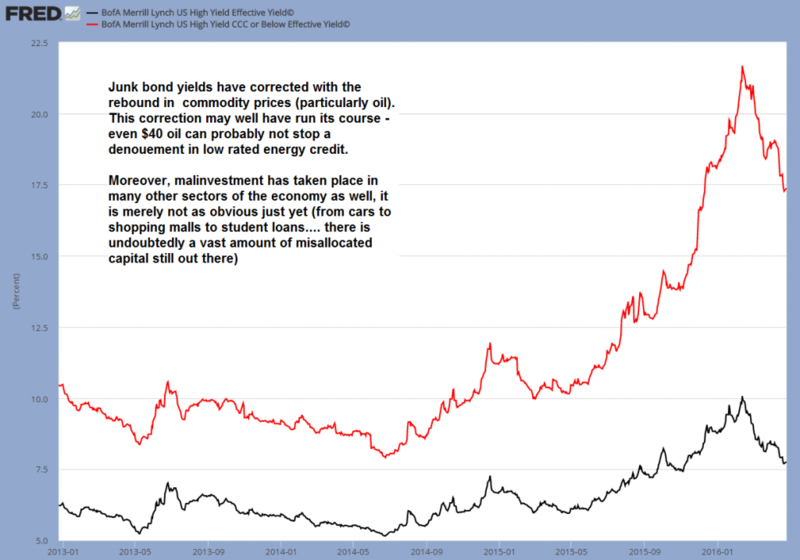 Junk bond yields have corrected (the red line shows yields on bonds rated CCC and below, the black line the effective yield on the Merrill Lynch/BofA Master II High Yield Index). This correction in yields could soon give way to another surge if the economy continues to weaken – click to enlarge. An example of malinvested capital left for dead.